Local – I’ve gotten out and tried some of the great local roasts here in Boulder and would have never known that we even had claim to the Roaster of the Year, Conscious Coffees. Having spent a lot of time in Portland, that’s saying a lot. Craft – Home roasting is something people used to do out of necessity and it’s one of those things I think was a shame to lose, in the same way that baking bread was. The aroma alone is worth it. I also enjoyed visiting Ozo coffee’s roasting lab. It was inspiring to hear from, Nolan, a master roaster who has learned something from the ground up and is on that path to perfecting everything from the roast to the brew. The only downside to the week was a bit of a sore elbow from all the cranking and maybe a bit of insomnia. I may have gotten a little carried away with how much I was drinking, but c’est la vie! One helpful thing to do when roasting is to keep a roasting log. It helps you keep track of what you did to get to the coffee you like: temperatures throughout the roast, roasting style, beans and cooling. 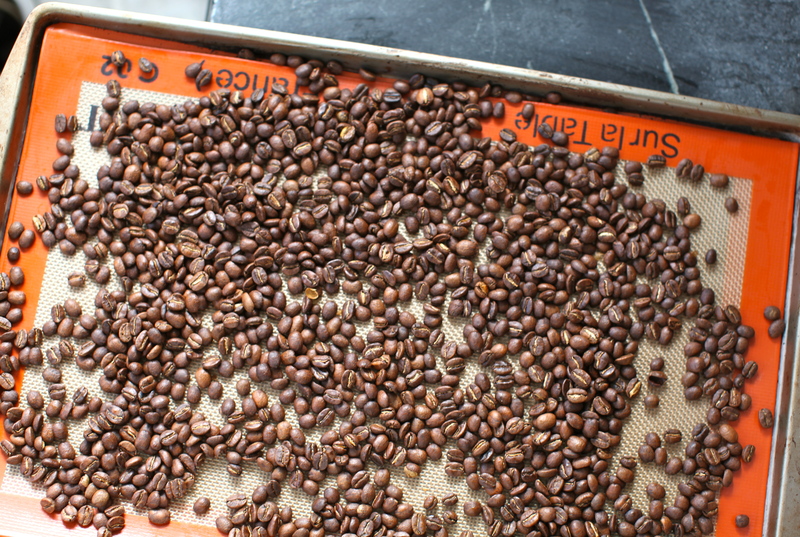 I’ll continue trying out different beans and roasting styles and don’t have a favorite varietal speak of yet. The El Salvadorian was the most familiar, the Indian was of a floral nature almost like tea and the Papua New Guineau was just fun. More than anything I’ve enjoyed being able to taste the differences in the beans. § 2 Responses to I’m awake! When do you start taking orders? Can you make K-cups? I’ll send you some coffee if you’d like some! « A week of wintering. You are currently reading I’m awake! at 52 To Do.